The Gambia's election commission told the BBC that security forces have taken over his building. The head of Gambia's electoral commission has told BBC Focus on Africa he has left his office building after being ordered to do so by security forces earlier today. Alieu Momar Njai told the BBC that the troops appeared to have been following orders. “I left. I came back home,” he said. 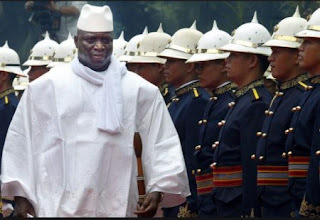 Last week President Yahya Jammeh announced he refused to accept the result of the presidential poll he lost.